Maybe it goes without saying, but the more complete your drawings are, the better your results will be. When putting together your drawings, here are some details to keep in mind along the way. Like a map doesn’t work without a scale, neither will your drawings without a good bill of materials (BOM). 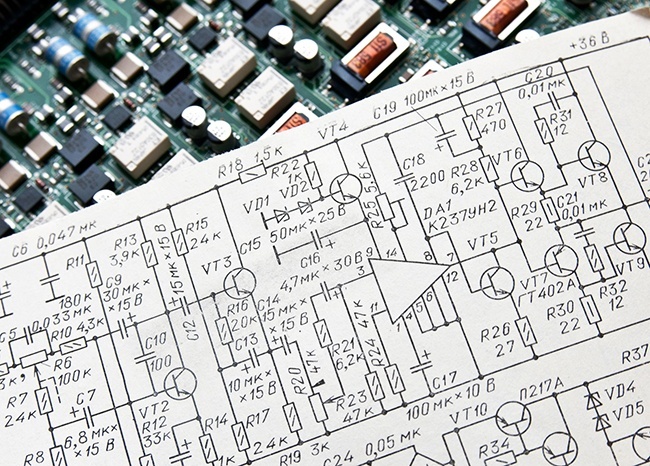 A complete drawing should have a materials list or BOM detailing the necessary quantities and, for a pcb assembly, reference designators on the board that provide insight into the assembly. The drawing should identify the exact components your build needs as well as specifying materials. For any specs or drawings, the devil is truly in the details. Specify the metal (e.g., aluminum or stainless steel). Explain what type of finish or plating the metals should have. Should they be painted? Powdercoated? Being as detailed as you can during this phase ensures you get what you want. Specify all dimensions for your project, including the exact position of each component. Your smartest bet is to use a CAD program for cable, wire and mechanical drawings. Board design should be made using a board design software such as Altium or PADS. Wiring diagrams should show what connections need to be made for cable assembly as well as what type of termination to connectors should be used. Using the appropriate software allows for precision in locating and positioning components that will go into your project, and it ensures the final product matches your intended specifications exactly. For circuit board assembly, include Gerber files, drill files, silk screen files and placement with your drawings package. These files map out the traces of copper per layer, so note where holes need to be drilled into the board and identify where components will be placed on the board. Include these files to ensure your project is created and assembled correctly. Give testing a thought before you complete your drawing. Think about what the product specifications will be and what your requirements are for burn-in and testing. Specify whether programming will be needed, and if so, whether you will be including the programming files for your electronic contract manufacturer (ECM) to complete the programming on your behalf. If the ECM will be performing the programming, specify the exact programming to be done on the project. For full assembly, provide as much detail as possible to ensure the process is completed accurately. Does your project have any special requirements that will need to be adhered to? What may seem obvious to you or your industry isn’t always. If the project requires lead free assembly, for instance, a quick note in the drawings will ensure you are all on the same page. Make sure your ECM knows where your finished product is going and how it should get there. Shipping and packaging requirements are important and help ensure your product reaches the final destination in a timely fashion with no delays. Also, if your product will be exported, note the countries it is being exported to and provide information for export documents. If that sounds like too much work on your end, get some help. Consider sending your design to an engineering firm to flesh it out before presenting it to an ECM. However, your best bet is to find an ECM who has engineers on staff to help you polish the designs on your project and work with you through the entire process from start to finish. Levison Enterprises offers the ability to take your design sketches and provides in-house engineers to help nail down the details needed in your drawings. We can take any idea and help you produce a final design with complete specifications. Even if you have a complete drawing package already, our engineers may be able to recommend solutions to make the production process run more efficiently. Let us help bring your project to reality. Contact Levison Enterprises today to learn how we can work together on your next project.